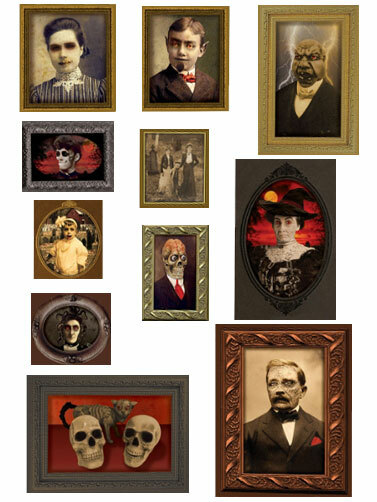 Create a haunted gallery for your home with these Gothic Portraits scene setters that includes some very interesting characters. 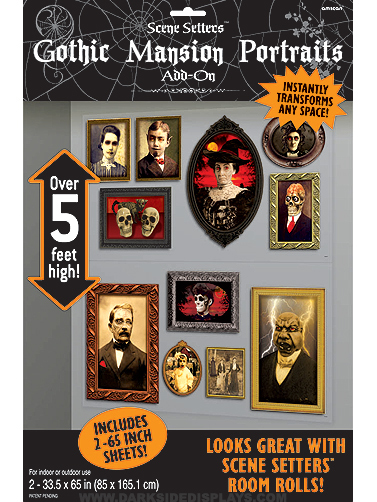 Portraits will need to be cut, and offer a variety of sizes. Reusable plastic decorations. Hang with sticky tack or similar adhesive, not included. Images are printed on two sheets, each measure 33.5"H x 65"W.